PT Adhi Persada Gedung - APG or referred to as "ADHI Gedung" is a well-established construction company in Indonesia with rapid business expansion. ADHI Gedung has main competencies in building construction, especially in high rise buildings. PT Adhi Persada Gedung is a directly-owned subdsidiary company of state-owned construction firm PT ADHI Karya (Persero) Tbk or ADHI Group. 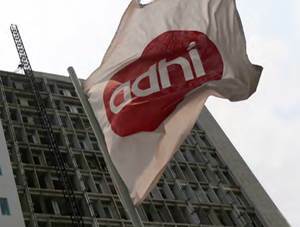 As of 31 December 2015,ADHI Group is the majority shareholder and holds 99% of the share at ADHI Gedung. PT Adhi Persada Gedung was established in 2013 under a Notarial Deed No 14 dated 16 December 2013 of Ir Nanette Chayanie Handari Adi Warsito SH. ADHI Gedung is based in Jakarta and its head office is registered at 18 Office Park, 7th Floor - Jl TB Simatupang Kav 18 Pasar Minggu Jakarta Selatan. In 2015, ADHI Gedung has shown significant performance improvements, According to PT Adhi Karya (Persero) Tbk Annual Report 2015 as cited by JobsCDC.com, PT Adhi Persada Gedung successfully recorded its total assets of Rp 1,186.99 billion at the end of 2015, an increase of 61.69% (yoy) from the previous year. Total assets of PT Adhi Persada Gedung in 2014 was Rp 734.08 billion. Minimum age of 28 years old. Minimum 2 years of experience in the same position. D3/S1 (Health Engineering, Public Health, K3). Minimum age of 23 years old. Minimum age of 25 years old. Minimum age of 30 years old. Minimum 4 years of experience in the same position. Minimum 3 years of experience in the same position. JobsCDC.com now available on android device. Download now on Google Play here. Please be aware of recruitment fraud. The entire stage of this selection process is free of charge. PT Adhi Persada Gedung - D3, S1 Officer, SPV, Manager ADHI Karya Group February 2017 will never ask for fees or upfront payments for any purposes during the recruitment process such as transportation and accommodation.